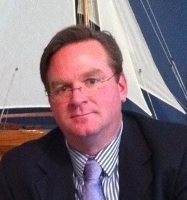 Mr. Robinson graduated from the Maine Maritime Academy with a degree in marine biology. He then decided that he wanted to pursue a career in politics and work on Capitol Hill. After obtaining his law degree, Mr. Robinson began practicing law in his hometown of Warrenton, Virginia, where he serves as the town attorney. Aside from handling the legal matters for the town of Warrenton, Mr. Robinson also runs a thriving private practice where he works on land use cases, criminal matters, construction law, federal and state election law and government contracts. Mr. Robinson works with The Robinson Law Firm as counsel on many issues such as land use, election law cases and government investigations.